Paris Hilton's British Best Friend is Blinging! Paris Hilton's British Best Friend, is a British reality television show where Paris Hilton searches for her new British best friend. Twelve people will compete in challenges in order to become Paris Hilton's new British Best Friend. The first episode of Paris Hilton's British Best Friend aired on ITV2 yesterday at 9pm & will run for 8 consecutive weeks. 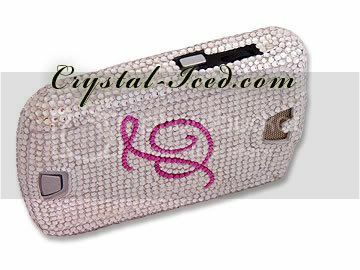 Alot of you fashionista's must have noticed the Crystal Iced Blackberry's used by Paris Hilton and her potential best friends - didn't they look blinging? Crystal Iced customised the Blackberry's used for the show. 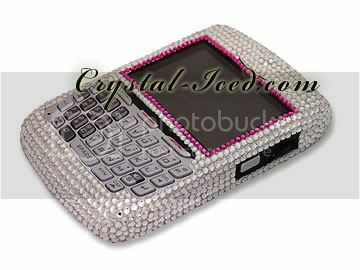 To have your mobile phone in the style of Paris Hilton, please get in touch. The key feature of the Swarovski Crystal LG KS360 is its slide-out keypad, which makes it a perfect phone for keen texters or emailers & It's smaller than an iPhone. If you like texting, then you're going to love this phone! Now available to purchase on Pay as You Go via the Crystal Iced shop.